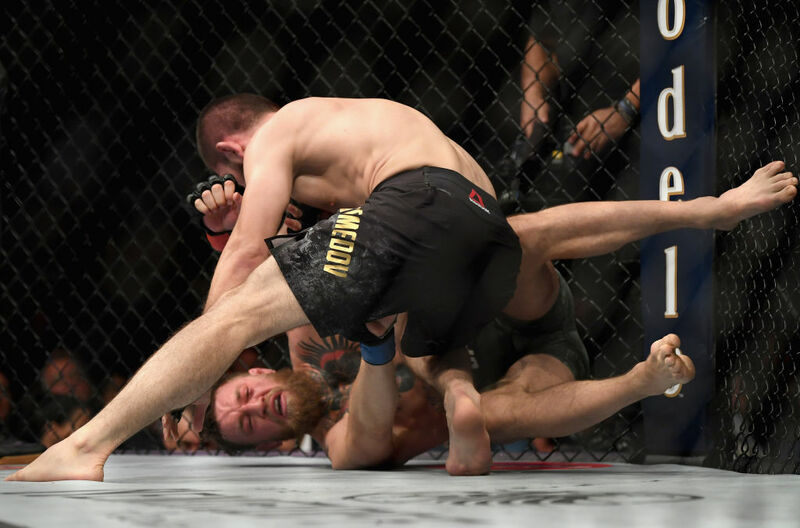 Khabib Nurmagomedov vs Al Iaquinta UFC 223 Apr 7, 2018 (41:24) Khabib Nurmagomedov vs Al Iaquinta UFC 223: Khabib vs Iaquinta from April 7, 2018 in Brooklyn, New York. 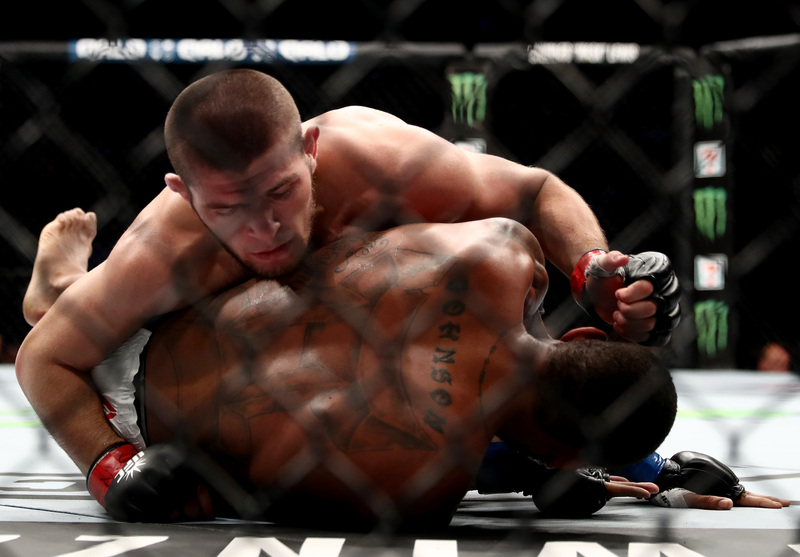 Khabib Nurmagomedov vs Michael Johnson UFC 205 Nov 12, 2016 (28:42) Khabib Nurmagomedov vs Michael Johnson at UFC 205: Alvarez vs McGregor from November 12, 2016 in New York, USA. 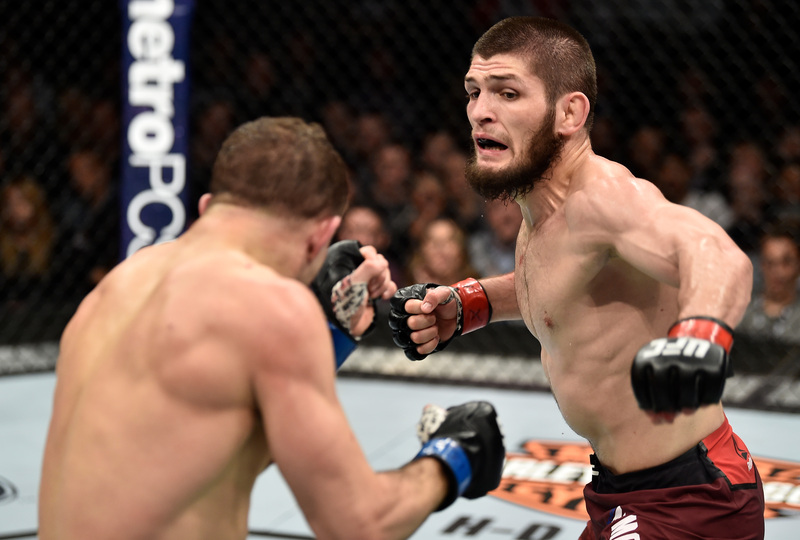 Khabib Nurmagomedov vs Darrell Horcher UFC Fight Night Apr 16, 2016 (23:18) Khabib Nurmagomedov vs Darrell Horcher from UFC Fight Night: Teixeira vs Evans on April 16, 2016 in Tampa, Florida. 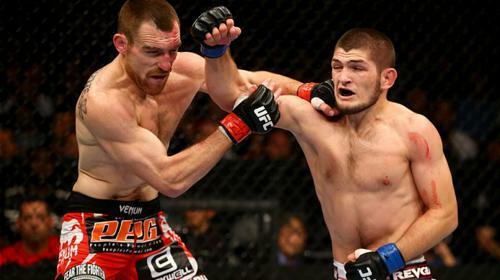 Khabib Nurmagomedov vs Pat Healy UFC 165 Sep 21, 2013 (28:06) At UFC 165, Pat Healy would attempt to solve the undefeated puzzle that was Khabib 'The Eagle' Nurmagomedov. 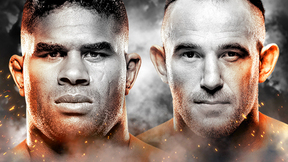 With an unblemished record of 20 wins with no losses, 'The Eagle' would be the toughest challenge to-date in Healy's veteran mixed martial arts career. 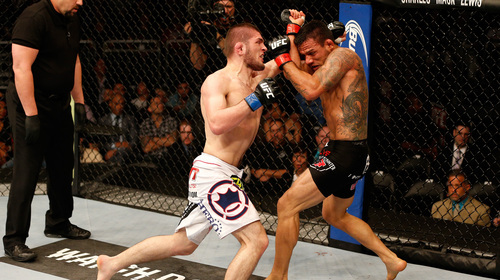 Khabib Nurmagomedov vs. Abel Trujillo UFC 160 May 25, 2013 (27:26) After one of the most spectacular UFC debuts of 2012, Abel Trujillo was back at UFC 160 to take on fellow rising star Khabib Nurmagomedov in what had the potential to be an epic showdown. 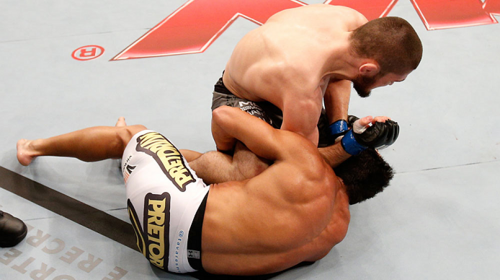 Khabib Nurmagomedov vs. Thiago Tavares UFC Fight Night Jan 19, 2013 (9:51) Lightweight freight-train Khabib “The Eagle” Nurmagomedov, who possessed an incredible 18-0 record, which included back-to-back wins in the UFC, headed into enemy territory against BJJ blackbelt Thiago Tavares, who had won his last two UFC bouts in his native Brazil. 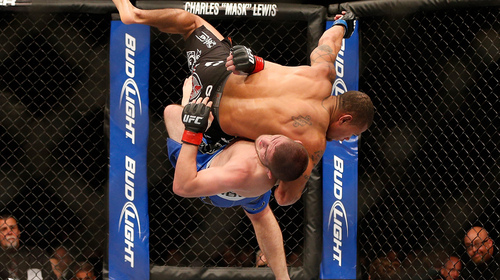 Khabib Nurmagomedov vs Gleison Tibau UFC 148 Jul 7, 2012 (23:57) Despite an impressive 16-0 professional record, Russia’s Khabib Nurmagomedov entered the Octagon for his UFC debut in January with little fanfare. 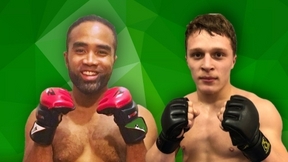 But then the fists started flying, and by the third round, he had submitted Kamal Shalorus and improved to 17-0. 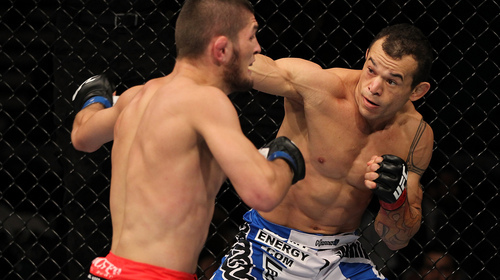 At UFC 148, “The Eagle” would get an even stiffer test in Brazilian powerhouse Gleison Tibau, who had pounded his way into the ranks of contenders at 155 pounds with his defeats of Kurt Pellegrino, Rafaello Oliveira, and Rafael dos Anjos. 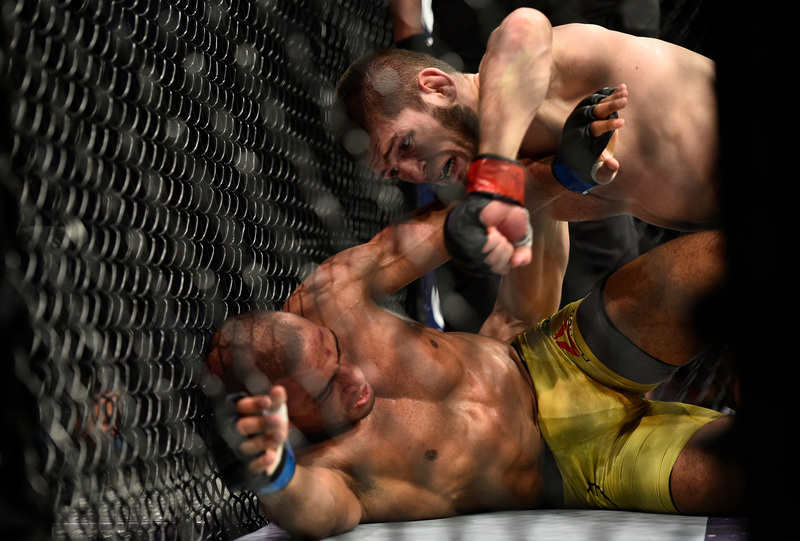 Khabib Nurmagomedov vs. Kamal Shalorus UFC Fight Night Jan 20, 2012 (24:17) With a rather stunning 16-0 pro record, Khabib “The Eagle” Nurmagomedov, with his nearly unstoppable array of judo & wrestling takedowns, made his Octagon debut against the heavy-handed internationally experienced wrestler, Kamal Shalorus. 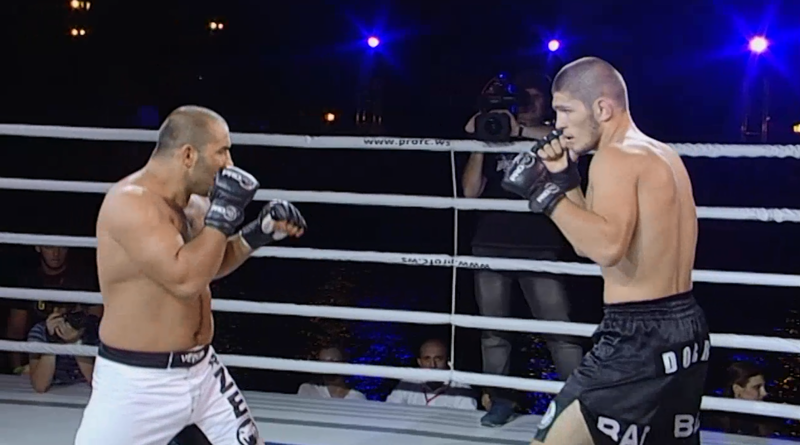 Khabib Nurmagomedov vs Hamiz Mamedov ProFC: Battle on Don Aug 5, 2011 (10:25) Khabib Nurmagomedov vs Hamiz Mamedov ProFC: Battle on Don from August 5, 2011 in Rotov-on-Don, Russia. 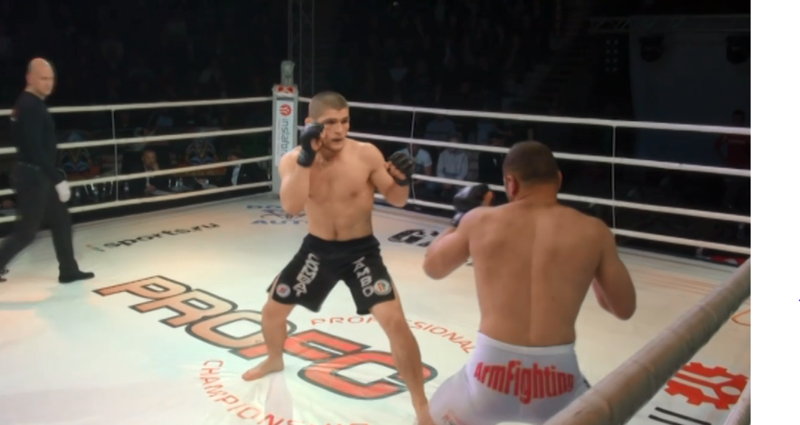 Khabib Nurmagomedov vs Kadzhik Abadzhyan ProFC: Union Nation Cup Final Jul 2, 2011 (10:42) Khabib Nurmagomedov vs Kadzhik AbadzhyanProFC: Union Nation Cup Final from July 2, 2011 in Rotov-on-Don, Russia. 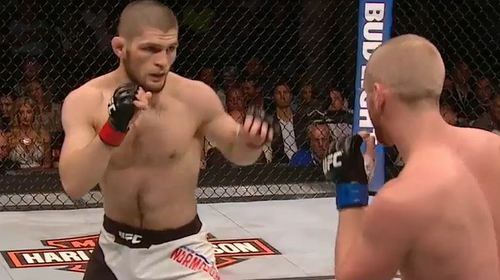 Khabib Nurmagomedov vs Ashot Shahinyan ProFC: Union Nation Cup 15 May 6, 2011 (8:01) Khabib Nurmagomedov vs Ashot Shahinyan ProFC: Union Nation Cup 15 from May 6, 2011 in Crimea, Russia.